Fit is widely regarded as a relevant factor for the success of cause-related marketing (CRM). Extensive research has recognized the importance of fit and generally agrees on viewing fit as some form of link between company and charity or cause. However, the literature on CRM fit shows that understanding of the fit concept is still limited and reveals its complex and nebulous character. 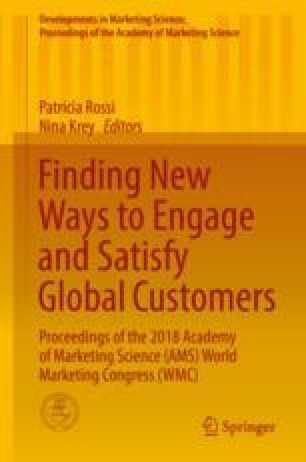 Therefore, the present research illuminates the fit concept and develops a unifying, valence model of fit for cause-related marketing. Initially, a comprehensive review of the CRM fit literature with focus on the dimensionality of fit is undertaken. Furthermore, the theoretical frameworks of associative network theory and balance theory are reviewed and their conceptual similarities integrated to explain commonality and valence. Commonality and valence represent the suggested dimensions along which key fit classifications are identified. As a result of this analysis, it is proposed that fit can be understood in terms of the general valence categories positive, neutral, and negative fit. Valence is defined as the degree to which the company contributes to the fulfillment of the alliance mission and therefore relates to whether or not company and charity have a similar purpose. Commonality is defined as the degree to which a CRM alliance represents strong or weak associations between company and charity. Positive fit (e.g., alliance between running shoe company and heart health charity) and negative fit (e.g., alliance between tobacco company and lung cancer charity) are suggested to be high in commonality, whereas neutral fit (e.g., alliance between running shoe company and literacy charity) is suggested to be low in commonality. Moreover, CRM fit literature suggests numerous sub-types of fit. Common themes were extracted from the reviewed literature and similar concepts combined to generate nine key sub-types of fit. Each of these fit sub-types represents a degree of commonality between the company and cause, as well as a valence for the relationship. Concrete definitions are provided for the three general fit types as well as the nine fit sub-types. The form of the model is presented, and propositions for future research are put forward.